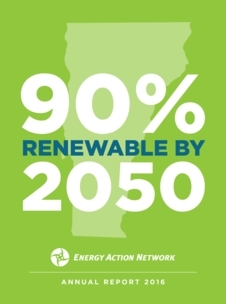 Montpelier – The Energy Action Network (EAN), a diverse network of business, non-profit, and public sector stakeholders committed to achieving 90% of Vermont’s energy needs through efficiency and renewable energy by 2050, today released its 2017 Annual Report. 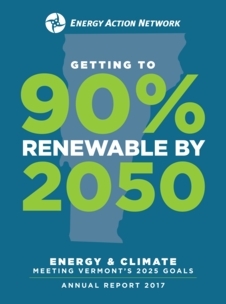 The in-depth analysis draws on state and federal data to show the status of Vermont’s progress toward its energy and climate commitments. 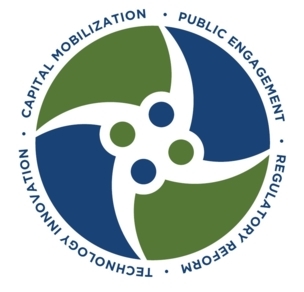 The Energy Action Network developed a detailed energy accounting model to document Vermont’s 2010 energy use and analyze key technology and policy pathways that could lead to attaining the Vermont's goal of 90% renewable by 2050.